Twitches. Don't you just love them. 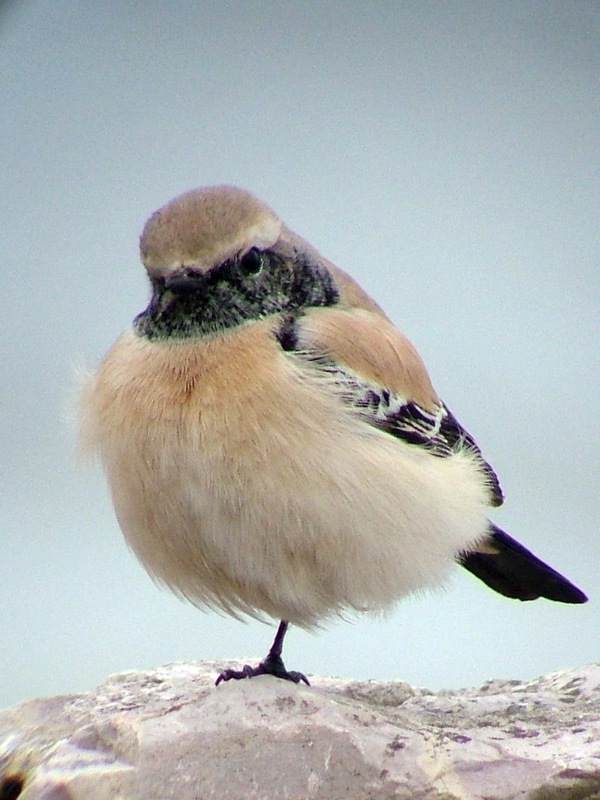 Prior to the event they are, on the whole, enveloped with anticipation, but more often than not the prevalent emotion is anxiety, particularly if the bird you are planning to see involves a long journey. Most twitches take time and effort and there is the risk you will come away empty handed and, in an era where time is increasingly more valuable, so much of it will be wasted. It's an dreadful feeling knowing the bird in question, had you seen it, would have made all those important but dull jobs you had been avoiding for weeks seem just that little bit easier to contemplate. But then there are those rare twitches where you come away with a smile on your face, having had an experience that was quite magical. 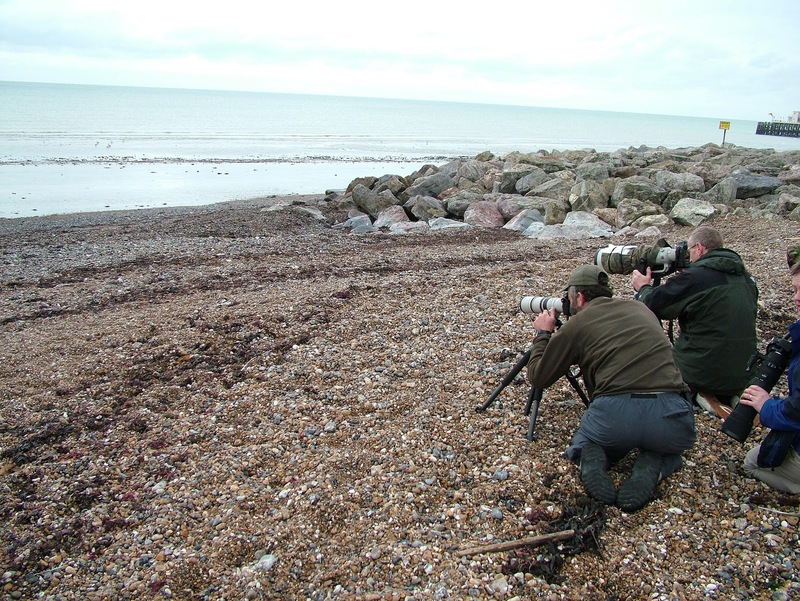 Those occasions are as rare as the bird you wish to see, but for me and my wife Annie, who came along with me on a rare birding trip on Friday, it actually happened for once. The bird in question was a Desert Wheatear. I like Wheatears, most birders do, and this one is a rarity that breeds in North Africa, the Middle East and central Asia, and winters in North Africa, the Arabian peninsular and western India. On its travels it also will turn up in Britain, and on this rare occasion it appeared on Worthing's seafront, to the east of the pier. 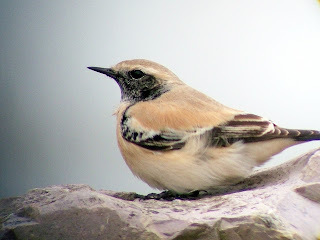 It was first spotted on Wednesday evening, being confirmed the following morning, and was still present first thing on Friday. 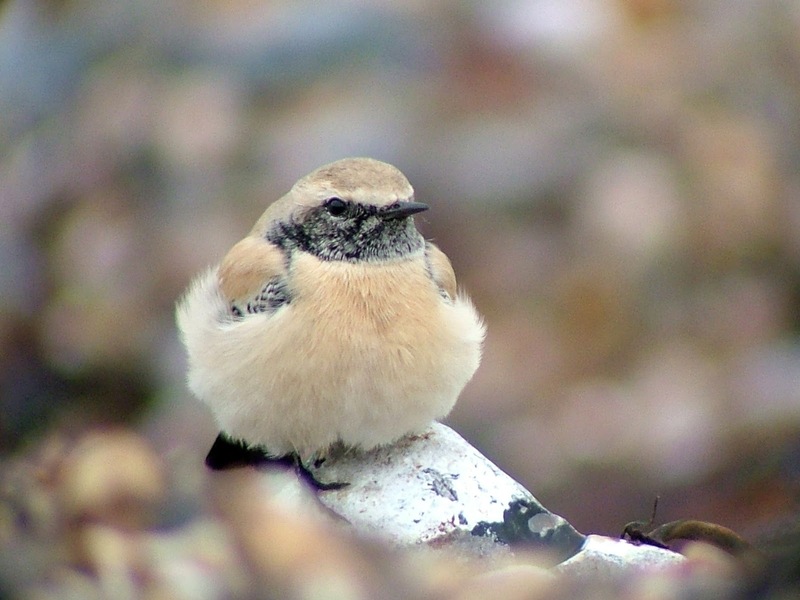 It was described as very confiding – probably the wrong adjective to describe a bird – but from what I had read it was more than comfortable in the company of human beings staring at it. So, on Friday lunchtime we set off for Worthing. The weather en route was terrible, loads of rain, but it stopped just before we arrived at Splash Point, just to the east of Worthing Pier. 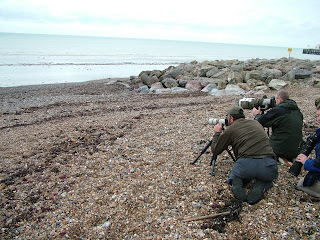 We parked up, and soon as we walked up to the beach and the group of birders that were in position there I knew this was going to be good. There was none of this walking-for-half-an-hour-to-a-hide-and-wait-for-five-hours-to-see-nothing malarkey. In front of this throng of cameras and scopes I could see a bird literally posing as if on a red carpet at a film premiere. 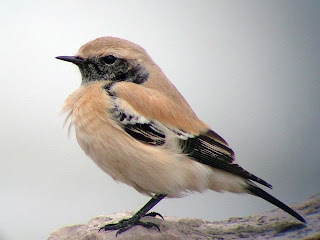 It was the Desert Wheatear. He was insisting on an audience. What an amazing little fella this was. It was if he enjoyed human companionship. He clearly hadn't seen many human beings in the Sahara during in his life, because as far as this Desert Wheatear was concerned, humans – as a species – were not recognisable predators. 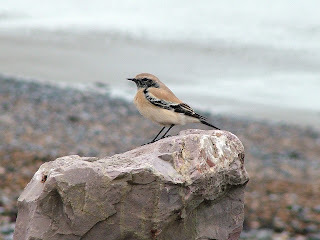 So, for the next 45 minutes we were able to sit and enjoy watching a bird full of personality, who perched on a rock, a post or anything nearby, then dropped down within three feet of our feet to feed in amongst the drying seaweed, and then fly back up to a nearby vantage point and look back at us. He could have flown off anywhere along the beach, but instead this remarkable little bird chose to stay close by us. It made you fear for him a little bit. He was so trusting, you just hoped the residents of Worthing continued to respect the fact they had a very special guest on their patch. And no disrespect to those who haven't been down to enjoy this smashing little bird, but I hope he decides to head off home during the night. It's getting cold and he's been a delight. We wish him well.